Herb Geddes Fence Company, Inc. Whether you’re interested in protecting your curious pets or want to add a stylish element to your property’s perimeter, there are numerous reasons to invest in a wood fence. Every material has its own strengths and maintenance needs, and there’s a lot to know about this popular choice before you buy. To ensure you’ve done all your research, consider the following answers to these frequently asked questions about wood fences. Why should I choose a wood fence? One of the main reasons why homeowners choose this material is because of its appearance. For example, if you have a classic Colonial-style house or a charming country cottage, a modern wrought iron or shiny vinyl fence just won’t complement its style. 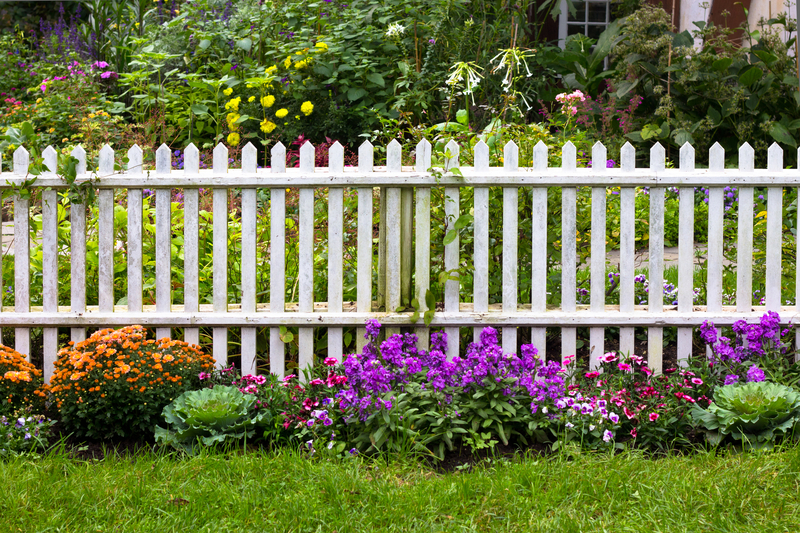 Wood fences are revered for their familiar charm, whether you’re after a dainty picket fence or a minimalist farm-style boundary. They do require a slightly more in-depth maintenance routine than other materials, mainly due to their aversion to moisture. To protect your fence from rot and water damage, you’ll need to have it sealed and resealed every couple of years. You may also need to touch up paint or staining, and scrub away dirt as it builds up. What wood type is best for fences? One of the best types of wood for fencing is cedar, as it naturally repels insects with its aromatic oils. Plus, even though it will require sealing, this wood is rot-resistant, so it will last longer than other woods. While cedar is attractive and affordable, cypress and pine are also excellent, durable options for fencing. Are wood fences hard to fix? Unlike other materials, wood fences are constructed piece by piece, whether you’ve chosen a simple picket design or a seamless privacy fence. This means it’s easy to remove rotted or broken planks and replace them with new ones without disrupting the entire structure. If you’re interested in installing a wood fence around your property, get in touch with Herb Geddes Fence Co Inc. of Nicholasville, KY. They have over 50 years of experience supplying residential and commercial customers with the boundaries they need, whether in wood, vinyl, chain link, or aluminum. To learn more about this trusted fence contractor, visit the website or call (859) 885-2215. Other Announcements, Events and Deals from Herb Geddes Fence Company, Inc.
How Does Winter Affect Different Types of Fencing? A. Herb Geddes Fence Company, Inc.